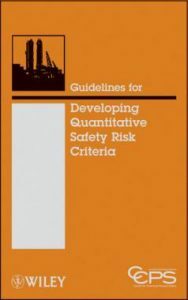 Guidelines for Developing Quantitative Safety Risk Criteria. By Center for Chemical Process Safety, Wiley, New York; 2009; 211 pages. 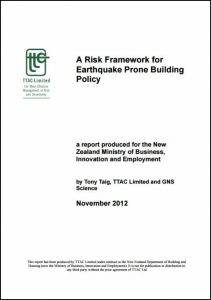 A Risk Framework for Earthquake-prone Building Policy. With the advent of the Health and Safety at Work Act (HSWA), its timely to review what guidance is available on acceptable risks for fixed installations. Notwithstanding its American provenance, the Center for Chemical Process Safety (CCPS) book is an excellent guide to how acceptable risk standards developed over time in Europe, principally in the UK and the Netherlands. Most literature focuses on individual risk, addressing the question of what is the acceptable annual fatality risk to a person who is most exposed to the hazard? A broad consensus has emerged that an acceptable annual individual fatality risk for a member of the public from a new fixed facility is one in a million (1×10-6, often abbreviated to 10-6). How did that consensus arise? The CCPS guideline gives the background to how this originated in the Netherlands from the design criteria chosen for dykes to protect low lying areas of the country after the disastrous 1953 storms, which killed almost 2,000 people in the Delta area. It’s useful to understand the rationale; that an existing risk should not increase the chance of fatality of a young person by 10% above the risk of dying of natural causes, and a new risk should not increase it by more than 1%. The 10-6 criterion was roughly equivalent to 1% of the annual risk of a member of the general public dying on Dutch roads at that time. In the 1980’s this evolved into the VROM land use planning rules, which set individual annual risk of 10-6 for new risks and 10-5 for existing risks. The VROM rules apply at a plant level for risks where the number of potential fatalities is greater than 10. The book also provides an excellent synopsis on the evolution of the UK Health and Safety Executive (HSE) guidance on acceptable risk, building from Farmer’s seminal work in 1967 on nuclear safety, through the HSE’s Tolerability of Risk from Nuclear Power Stations (TOR) in 1988 and on to the more generalised HSE publication Reducing Risks, Protecting People (R2P2) in 2001. The HSE adopted the same 10-6 value of acceptable individual risk for members of the public potentially affected by industrial facilities, but as the lower bound, beyond which risks were regarded as broadly acceptable. In addition the HSE identified a higher level of individual annual fatality risk, 10-4 as being intolerable. When considering the safety of workers, the HSE identified that individual fatality risks greater than 10-3 were intolerable. This was derived from considering historical risks in highly hazardous industries of the time such as mining, quarrying, demolition and deep-sea fishing diving. By modern standards the 10-3 level now appears to be somewhat lenient, even for individual fatality risks for workers in highly hazardous industries, but the practical effect of applying the as low as reasonably practicable (ALARP) principle is to drive risks to much lower levels. At face value the UK and Dutch approaches look different as one is an upper bound and one is a lower bound, but in practice they arrive at similar outcomes. The reasons for this lie in the origins of the legal codes in Britain and Europe, and is covered well in a section of the book devoted specifically to this topic. The CCPS book cites papers such as (Ale 2005) extensively. These are commended to the readers who want to understand more about how the Dutch system evolved and is applied in practice. How relevant are the decisions of yesteryear in today’s seemingly post-industrial world? It is instructive to compare the current New Zealand context with the circumstances in which the so-called 10-6 “Delta” norm was derived in the Netherlands. The annual probability of a young person (5-15 years old) dying from natural causes in New Zealand over the period 1995-2011 was approximately 0.9×10-4 (Enright 2015). This is consistent with the Delta norm that led to adoption of the 10-6 standard. The New Zealand road toll for the 6 years from 1 January 2010 to 31 December 2015 was 1,834 (NZTA 2016), being an average of 306 fatalities per year. This suggests an annual average fatality risk of around 0.7×10-4 for members of the public. Again this is reasonably consistent with Dutch experience at the time that the Delta norm was applied more broadly to land use activities in the Netherlands. A Risk Framework for Earthquake-prone Building Policy by Tony Taig and GNS Science assesses risk in a purely New Zealand setting. Focussing on natural disasters, this work provides an excellent historical summary of all types of natural disasters from historical records, placing earthquake losses in context. Historically the annual average individual fatality risk from earthquakes in New Zealand has been approximately 2×10-6 over the period 1858-2011. 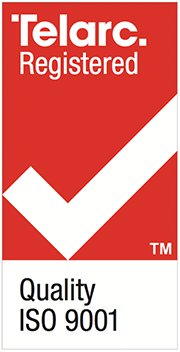 For buildings of post 1980 design in sound condition the annual average individual fatality risk is typically expected to be in the vicinity of 1×10-6. The report then goes on to assess various policy options for earthquake prone buildings. While a framework for developing risk criteria is advanced, the work of setting the criteria for upgrading of buildings is left to others. This is consistent with a New Zealand tradition of local authorities setting their own policy settings in relation to upgrading requirements, thus enabling them to reflect the values of their local communities. In this respect this report can be seen as informing the debate, while leaving the decisions to others. Events with large fatality counts can come to be seen not just as direct failings of the organisations involved, but as a failure of the overall regulatory system (Black 2014). New Zealand examples include the Cave Creek tragedy in 1995 (14 fatalities) which led to law changes holding government departments accountable to the same standards expected of others. More recently the Pike River disaster (29 fatalities) has resulted in profound changes to the health and safety regulation in New Zealand. So do these policy responses demonstrate that societal risk aversion scales at a rate that is non-linear with fatality count? One of the most important sections of the CCPS book poses two alternative versions of the familiar ALARP triangle. One version has three zones, with a lower threshold of risk beyond which any further reduction is regarded as unnecessary. The other has only two zones with ALARP applying at all risks, no matter how small the risk level, albeit at a diminishing level of ALARP effort for lower risks. CCPS advises the reader to choose between them. A major service provided by CCPS is to highlight this issue. It would be interesting to see the CCPS discussion expanded to include further “third way” alternatives for the application of ALARP and its HSWA stablemate so far as is reasonably practicable (SFAIRP). One alternative is to reject the proposed two stage/three stage dichotomy through accepting that ALARP/SFAIRP applies at all times, however that the acceptable risk threshold is also important when deciding how much effort to put into further improvement. As R2P2 states, decisions on acceptable risk criteria must reflect the values of society at large. It would be a reasonable societal expectation that persons conducting a business or undertaking (PCBU) would spend a great deal of effort to improve safety if risks are high in relation to acceptable standards, whereas the level of effort would be less if the risk is closer to or better than an acceptable threshold. In summary these are both important and useful works for any practitioner in quantitative risk assessment, alongside the familiar HSE guidance which is often referred to as a matter of course. Suggestions for further reading are provided below. Ale, B.J.M., 2005. Tolerable or Acceptable : A Comparison of Risk Regulation in the United Kingdom and in the Netherlands. Risk Analysis, 25(2), pp.231–241. Black, J., 2014. Learning from Regulatory Disasters. LSE Law, Society and Economy Working Papers, 24. Enright, P., 2015. Is there a tolerable level of risk from natural hazards in New Zealand? Georisk: Assessment and Management of Risk for Engineered Systems and Geohazards, 9518(January), pp.1–8. HSE, 2009. Evidence or Otherwise of Scale Aversion: Public Reactions to Major Disasters. , (June).